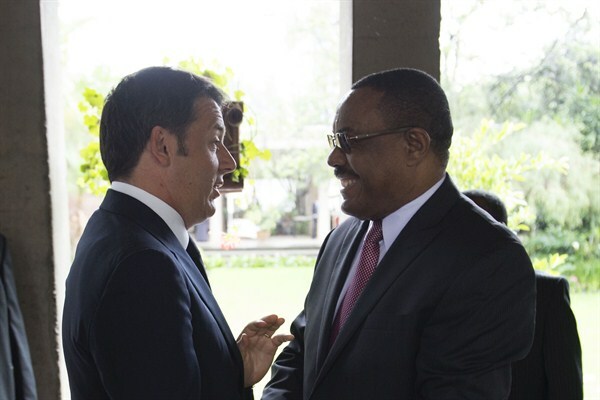 Italian Prime Minister Matteo Renzi meets with Ethiopian Prime Minister Hailemariam Desalegn, Addis Ababa, Ethiopia, July 14. 2015 (Photo from the Office of the Italian Prime Minister). Earlier this month, Italian Prime Minister Matteo Renzi was in Kenya to discuss trade ties and pledge support for counterterrorism operations in East Africa. In an email interview, Mattia Toaldo, a policy fellow at the European Council on Foreign Relations, discussed Italy’s outreach to Africa.